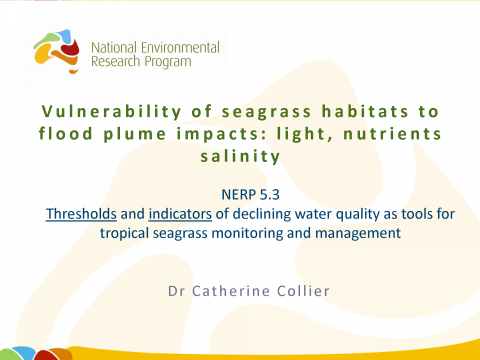 Catherine Collier (JCU); Thresholds and indicators of declining water quality as tools for tropical seagrass monitoring and management; Thursday 6th November. 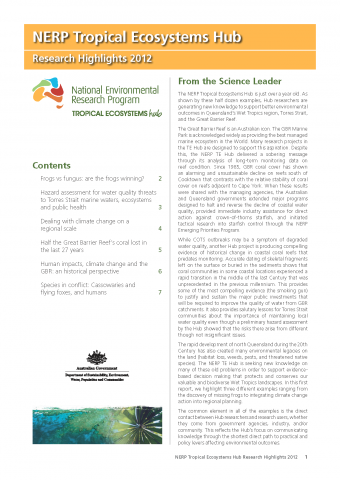 The annual research highlights brochure of what's been happening on a selection of projects in the NERP Tropical Ecosystems Hub during 2012. 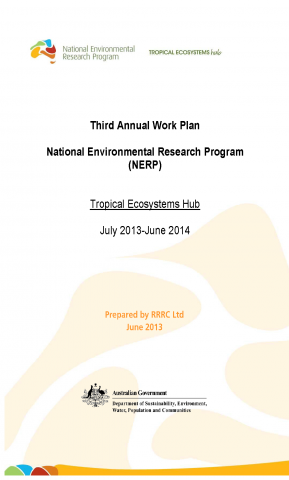 The NERP Tropical Ecosystems Hub Third Annual Work Plan (AWP3) details the milestones to be completed by each Hub funded project in 2013-2014. 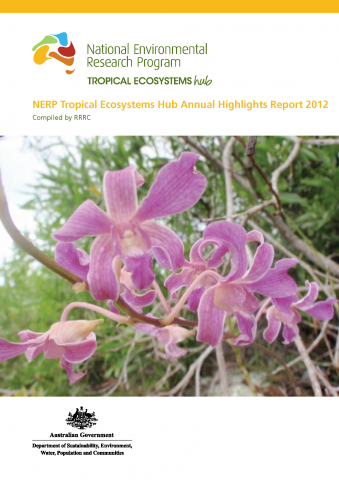 The annual highlights brochure of what's been happening in the NERP Tropical Ecosystems Hub during 2012. 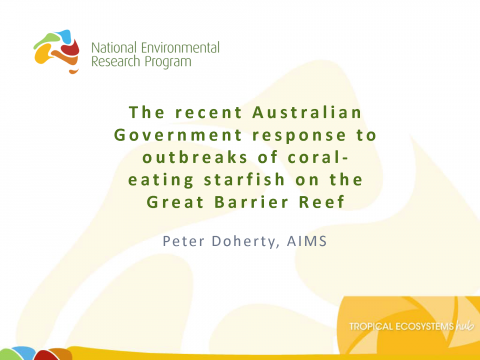 Peter Doherty (AIMS); The recent Australian Government response to outbreaks of coral-eating starfish on the Great Barrier Reef; Wednesday 8th May 2013. 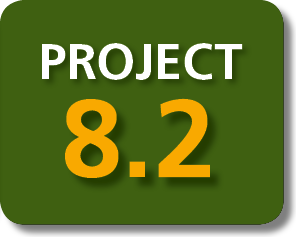 Project 8.2 Journal: Larval Export From Marine Reserves and the Recruitment Benefit for Fish and Fisheries. 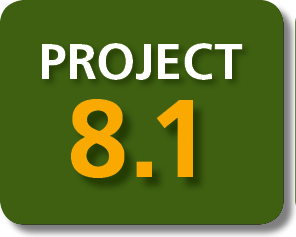 Harrison HB, Williamson DH, Evans RD, Almany GR, Thorrold SR, Russ GR, Feldheim KA, van Herwerden L, Planes S, Srinivasan M, Berumen ML, Jones GP (2012). 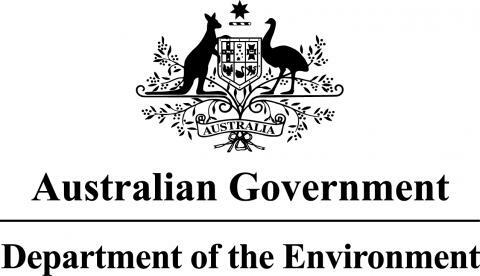 Larval Export From Marine Reserves and the Recruitment Benefit for Fish and Fisheries. Current Biology.